Using panel data on 166 countries, this paper analyzes the effects of corporate governance, employment protection, investor protection, and political environments on the exporting performance. Our gravity model predicts that stronger democratic political institutions encourage exports. We also find that stronger rule-based corporate governance imposes positive impact on the export performance. We also note that stronger employee protection, and therefore, rigid labor regulations can distort the exporting decision of firms. In addition, a stronger shareholder protection tends to be associated with lower exports, probably attributed to lower innovative activity. 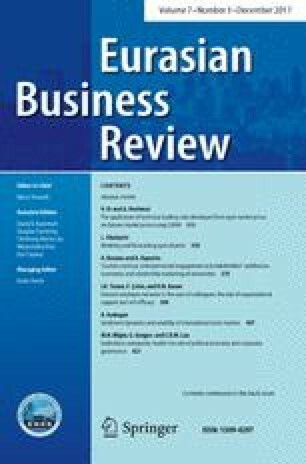 We interpret these results as an indication that (i) countries with a higher quality of institution suffer from less formal and informal trade barriers, which make international trade relations easier, and (ii) both the employee protection and the shareholder protection, on the other hand, trivialize the country’s export.